Not this weekend but last weekend, I finished my first EVER half marathon! It was amaziing. I literally almost started crying crossing the finish line, because I really didn't think I prepared myself to make it across, but there were so many people cheering you on. No pics to show - thank goodness :)! Just wanted to post a quick update! 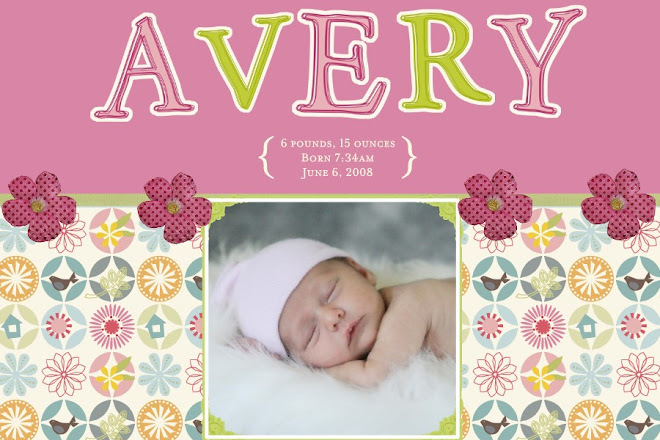 Here are some recent pics of Avery! P.S. Pray for me on Sunday - I will be running my very first half marathon and I am so excited and nervous! I will let you know how it goes.